Download Free Skateboard PSD Mockup. You can use to showcase your artwork on a real skateboard. 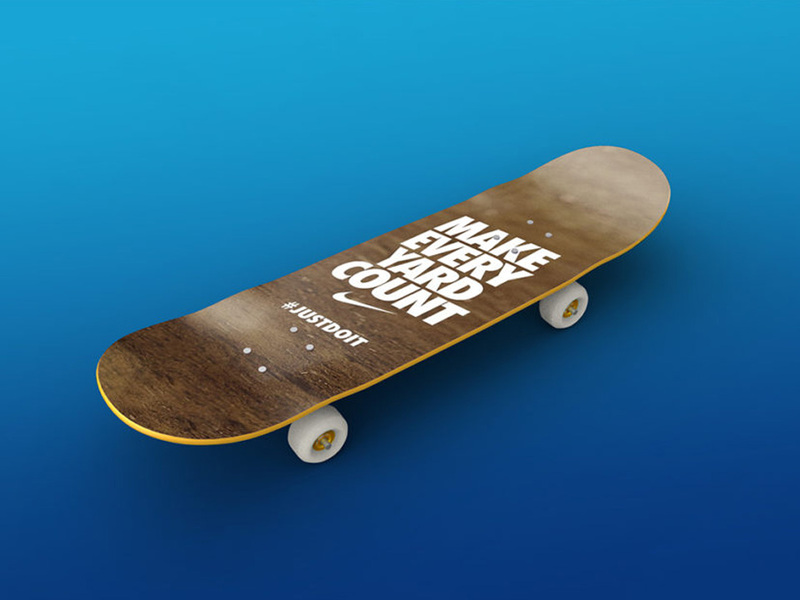 The Skateboard PSD Mockup file also includes a smart object which allow so you can also change the color of background. Nice work done by Rasul Hasan.